Milton Paul LeGrand was born on 10 November 1832 in Wadesboro, Anson County, North Carolina. William Chambers LeGrand and Jane Green Paul appeared in the US federal census of 1 June 1840 in Macon County, Alabama. Other (counted but unnamed) members of the household apparently included Milton Paul LeGrand, Mary Jane LeGrand, Margaret Deborah LeGrand and Cornelia Anne Elizabeth LeGrand. Milton Paul LeGrand appeared in the US federal census of 1 June 1850 in Marion, Perry County, Alabama, living in the household of Henry F. Godden, druggist. He married Maria Louisa Jones, daughter of Dr. Erastus W. Jones and (?) Cotton, on 20 February 1855 in Macon County, Alabama, with John Wesley Rush officiating. The marriage was witnessed by John H. Wesley Rush. Milton Paul LeGrand and Maria Louisa Jones appeared in the US federal census of 1 June 1870 in Montgomery, Alabama, and also two domestic servants, living near George Thomas Goldthwaite.. Other members of the household included Milton Paul LeGrand Jr. and Eloise LeGrand. Milton Paul LeGrand and Maria Louisa Jones appeared in the US federal census of 1 June 1880 in Montgomery, Alabama, at Church Street. Other members of the household included Milton Paul LeGrand Jr., Eloise LeGrand and William Homer LeGrand. He was a drygoods wholesaler, according to the 1880 census. Milton Paul LeGrand became a widower at the 23 August 1891 death of his wife Maria Louisa Jones. Milton Paul LeGrand died on 16 September 1893 at age 60 in Montgomery County, Alabama. LEGRAND, MILTON PAUL, physician, business man, was born November 10, 1832, at Wadesboro, N. C., and died September 22, 1893, in Montgomery; son of William C. and Jane (Paul) LeGrand, natives of North Carolina, of Huguenot and English ancestry, respectively, who came to Alabama in 1837, and settled at Tuskegee where they spent the remainder of their lives, the former dying in 1839, and the latter in 1842. He received his early education at Tuskegee, and as a preliminary step toward preparing himself for the medical profession, entered a drug store at Marion. At the end of four years, he returned to Tuskegee and opened a drug store on his own account. He conducted that store for about three years, then opened a similar business in Montgomery on a much larger scale. His failing health caused him to give up the drug business, and after a rest of a year or two, he entered the grocery and dry goods business, and built up the largest trade in that line that Montgomery had ever possessed. He continued in that business until 1882. He was one of the organizers of the Montgomery and Florida railroad company, and was elected its president in 1881. In June, 1886, finding other business affairs too pressing, he declined re-election to the presidency, and was made vice president of the company. On the organization of the Commercial fire insurance company in 1876, Mr. LeGrand was made president. In 1889, he organized the Bank of Montgomery, which he conducted until his death. He had served for two years in the C. S. Army, having retired from active service because of his physical condition. Married: in February, 1854, at Tuscaloosa, Louisa Jones, who died August 21, 1891, daughter of Dr. Erastus W. Jones, of Tuscaloosa. Children: 1. Milton Paul, b. 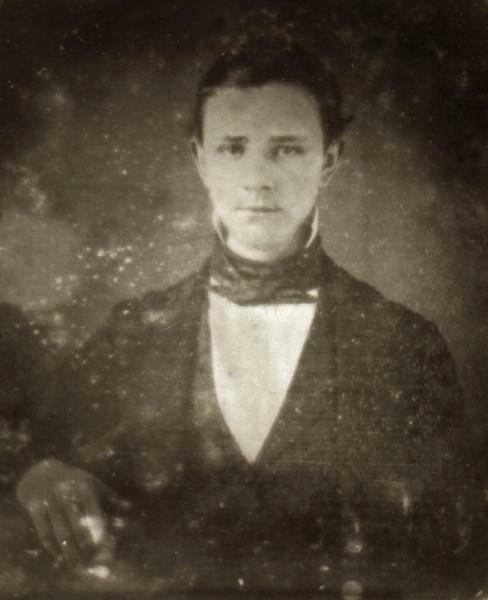 March 25, 1861, at Tuscaloosa, d. in August, 1913, at his summer home on Perdido Bay, was graduated from Vanderbilt university, B. S. 1883, and from the University of Alabama, LL. B., 1894, began the practice of law with Horace Stringfellow in the firm of Stringfellow and LeGrand, became president of the Bank of Montgomery on the death of his father, and held that position until 1900, when that bank and the Merchants and planters bank were consolidated, became vice-president of the resulting Merchants and planters bank, was on Gov. Jones' staff for four years, and on Gov. Seay's staff four years, occupying the position of judge advocate general of state troops, m. April 27, 1893, to Mary Virginia Goldthwaite, daughter of Robert W. and Annie (Paul) Goldthwaite (q.v. ), of Montgomery; 2. William Homer, planter, b. June 15, 1871, attended the University of alabama, m. Kate Elsberry, Montgomery; 3. Eloise, d. in 1900, m. J. Craig Smith (q.v.) , formerly state treasurer. Last residence: Montgomery.